Articles on the technique of Olympic Weightlifting that will comprehensively expand your knowledge on the biomechanical principles and concepts upon which Weightlifting Technique is founded. These articles are illustrated. Guidelines for coaches and athletes on best practice for the teaching of Weightlifting skill. Articles on Assistance Exercises, their use in teaching beginners or improving existing technique, the training methodology generally employed, common faults and issues. Articles that provide important insights for the coach in Physiology, Motor Learning and Control, Psychology and Coaching Pedagogy. There are also downloadable training programs in PDF format for novice, intermediate and advanced athletes available for purchase in “bundles”. 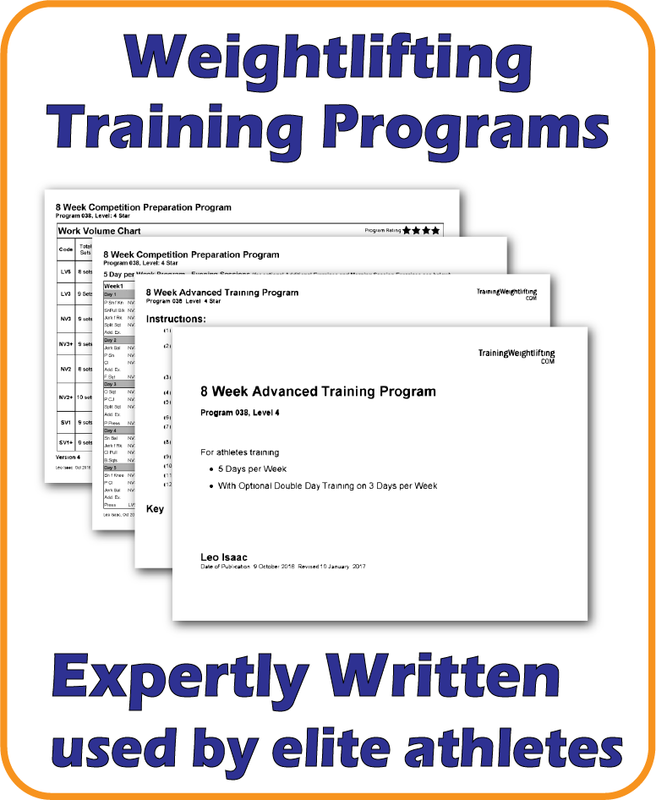 Click here for more information about training program bundles. More programs, resources are being added weekly.